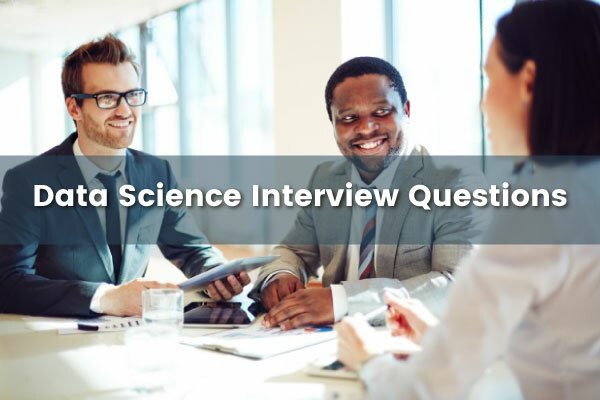 Data Science interview questions can be divided into 3 categories technical data science interview questions, statistical data scientist interview questions and face to face interview questions. Technical data science interview questions are based on data science programming languages like Python, R, tableau etc. Statistical data science interview questions are based on math, machine learning, probability etc. and face to face interview usually have data science interview questions related to past experience or projects. “Do you understand the term regularization, tell me how useful it is?" “Can you talk on Eigenvalue and Eigenvector?" “ Do you know the formula to calculate R-square? What is monkey patching and is it ever a good idea? What advantages do NumPy arrays offer over (nested) Python lists? How do you make 3D plots / visualizations using NumPy / SciPy? What is the difference between context filter to other filters? Max no of tables we can join in Tableau? What are Dimensions and Facts? What is dual axis & blended axis? In which libraries for Data Science in Python and R, does your strength lie? Suppose you are given a data set, what will you do with it to find out if it suits the business needs of your project or not. What unique skills you think can you add on to our data science team? What are your favorite data visualization tools? What do you think is the life cycle of a data science project in our company? Which is better - too many false positives, or too many false negative? You can give examples. How do clean up and organize big data sets? What opportunities data science will bring in the near future? Ask industry-specific questions related to data types, domain knowledge etc. What were the business outcomes or decisions for the projects you worked on? What’s your favorite part of being a data scientist?